Last week a friend of mine was asking for advice about setting up a website for her son’s budding clothing company. More specifically, she asked about a company called Wix – a DIY website builder. Wix offers many different website templates with the ability to drag and drop pieces into place without the need to know how to code. Much of this can be done for free or very little initial expense to get your site built. Sounds like a great deal, right? Do you hope that people are able to find your website through a Google search? Well Wix falls somewhat short in this category. You may choose to compose your website using Flash or HTML5. It is well known that sites built with Flash are notoriously poor for ranking well in Google. The content of these sites is virtually invisible to an indexing web crawler. Another huge bummer with Flash – they just don’t work on most mobile devices.HTML5 on the other hand does show on mobile devices and makes your site content readily available for indexing by Google and other search engines. With Wix, however, you have limited guidance in setting up an SEO friendly site. You can set a Page Title and Description with Keywords, but beyond that, it appears as though you are on your own. It is up to you to take care of heading tags, title tags, cross-linking, outbound links and generating significant content, etc. that greatly help your site’s visibility to search engines. One complaint I encountered frequently when researching Wix was the inability to change templates without having to rebuild your entire site. If you want to change your look down the road, Wix recommends building a new site with a new template. Bummer. If you use the free website building package, your site will show ads chosen by Wix. Pay a monthly fee and you can get around this. Also, if you choose to add certain apps or features like ecommerce, your monthly expense will creep upwards. While I could not go through the steps to discover this on my own without building a Wix site of my own, it seems as though ecommerce options are limited. For instance, you can’t send email alerts to let a customer know about their order status. 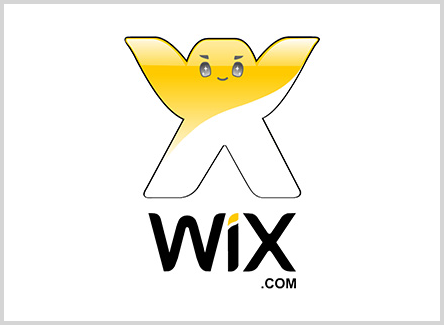 Many user forums show complaints that Wix lacks many product options that a more robust shopping cart may have and that it may not be best for companies that have a large inventory. Regular blogging is an important feature to almost all of the websites we build. They not only help you keep up to date with relevant news content, but they essentially send a signal to search engine web crawlers. If you hardly ever update your website, search engines will catch on and index your site content less frequently. If your site is constantly updated with fresh content through regular blogging, search engines learn to check back more frequently and as a result, your Google ranking will improve. Also, blogging about a wider variety of subjects casts a wider net for being found in a Google search since your site will contain a wider variety of content. When creating or editing your Wix website, many users show a high level of frustration. The editor is described as “buggy” and can be at times painfully slow to load. If you’d like to boost your presence online with a new and/or revamped website or are interested in exploring a new online marketing strategy, please feel free to Contact Us.